Panamanian southpaw Jezreel “El Invisible” Corrales (22-1-0, 8 KOs) will head to New York for his second fight in the U.S. and third defense of his WBA Super World Super Featherweight Title against unified NABO and NABA Super Featherweight Champion Alberto “Explosivo” Machado (18-0, 15 KOs) in a 12-round main event at Turning Stone Resort Casino. The event takes place Saturday, Oct. 21 and will be televised live on HBO Boxing After Dark beginning at 10:05 p.m. ET/PT. After spending his entire professional career fighting in his home country of Panama, the 26-year-old Corrales traveled to Tokyo in June 2016 to take on the then-undefeated Takashi Uchiyama, a man who had defended his WBA Super Featherweight title more than ten times. In a stunning upset, Corrales destroyed Uchiyama in only two rounds, and defeated Uchiyama once again via split decision victory in their December 2016 rematch. Corrales then made his U.S. debut against the tough Mexican Robinson “Robin Hood” Castellanos in Los Angeles on July 15, winning by technical decision in a tough war that had both men visiting the canvas. Machado, a 27-year-old of San Juan, Puerto Rico, is a big man for his division and boasts power in both hands. After almost five years climbing up the super featherweight rankings, Machado earned the NABO Super Featherweight Title against Juan Martinez via stunning first round knockout. Machado then took on NABA Super Featherweight Champion Carlos “The Solution” Morales, defeating him soundly via 10-round unanimous decision on Aug. 18 in the main event of Golden Boy Boxing on ESPN. Machado will look to take advantage of his first title shot in his first HBO appearance. “I am very happy and ready to face the great champion Jezreel Corrales,” said Alberto Machado. “I know that it won’t be an easy fight, but I am more motivated then ever to take this title to my family and to Puerto Rico, who really needs it during this time of grief. In the non-televised portion of the card, two prospects of the NoXcuse Boxing Club will put their undefeated records on the line against opponents that will be announced shortly. 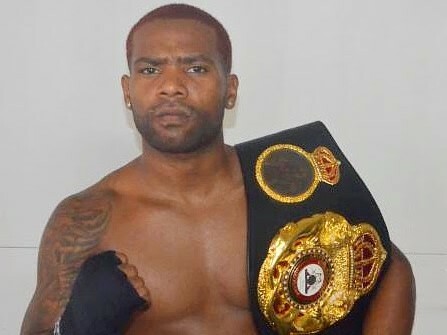 D’Mitrius “Big Meech” Ballard (17-0, 12 KOs) of Washington, DC will return in a 10-round super middleweight fight, while Lamont Roach, Jr. (14-0, 5 KOs) of Marlboro, Maryland will return in a 10-round featherweight fight. Zachary “Zungry” Ochoa (17-1, 7 KOs), the super lightweight prospect of Brooklyn, New York will return in a six-round fight, and Luis Feliciano (3-0) of Milwaukee, Wisconsin will battle in a six-round super lightweight fight. Opponents for both will be announced shortly. Professional media requesting credentials for Corrales vs. Machado must contact Kelly Abdo, Turning Stone Resort Casino Public Relations Manager at kelly.abdo@turningstone.com. Photos and videos are available to download by clicking here or copying and pasting the link http://bit.ly/CorralesMachado into a browser. Credit must be given to Golden Boy Promotions for photos and videos used.